Delicious clean food prepared simply! My cookbook is available through my website, at my cooking classes, and on Amazon. I will sign the book if you include a note with your details. Enjoy my favorite recipes such as Thai Summer Rolls with Shrimp and Avocado, Sweet and Spicy Sticky Chicken or Roasted Curried Cauliflower as well as do-ahead tips and substitutions to make cooking a breeze. 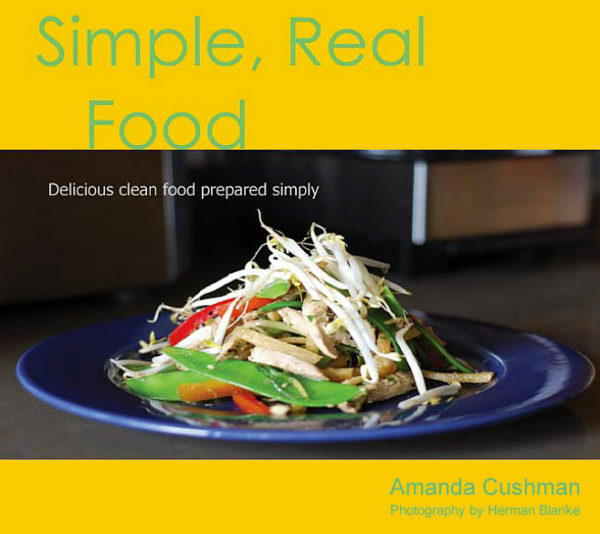 Simple Real Food is in it’s third printing.